Not everyone has perfectly aligned teeth, but thanks to orthodontic braces, straight teeth and a beautiful smile can be a reality. However, orthodontic treatment is a pricey investment, and even with dental insurance, out-of-pocket expenses are significant. This is why it helps to understand the types of braces available and the price tag that goes along with them. 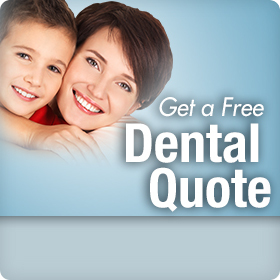 It’s also beneficial to know that a dental discount plan is an added benefit that can help minimize the cost. Advances in orthodontic treatment have resulted in a variety of braces to choose from. Although, since every orthodontic case is different, it’s important that you and your orthodontist discuss which options fit well with your budget and lifestyle, yet still give you the best results. Metal Braces: Traditional metal braces consist of stainless-steel brackets bonded to the front of each tooth. The wire that goes through the brackets puts pressure on the teeth, moving them into their proper position. Though the most visible, metal braces are usually the least expensive, with costs averaging around $5000. Ceramic Braces: Ceramic braces are essentially the same as metal except that the brackets are tooth colored. While less noticeable, they can break easier than the metal variety and will usually cost about $600 more. Lingual Braces: Lingual braces cannot be seen when you smile because the metal brackets are attached to the back of your teeth. Although more aesthetically pleasing, this style requires more customization, increasing the cost from $1500 to $2000 more than traditional braces. Invisible Braces. This option is virtually invisible and consists of a series of custom- made, removable aligners, which are similar to mouth guards. Aligners are taken out when eating and cleaning your teeth and are replaced every 2 weeks or so. While costs are similar to metal braces, invisible braces are limited to mild spacing problems. Traditional dental insurance plans do not always provide orthodontic benefits, and many plans limit coverage to dependent children only. And because most orthodontic lifetime-maximums are only $1000 to $2000, you still face a lot of out-of-pocket expense. On the other hand, a dental discount plan is an affordable option which can reduce the amount of money you owe for orthodontic treatment — whether you have an insurance plan or not. When your orthodontic treatment is done by a dentist or orthodontist who participates with the plan, you’ll receive a discount of up to 20 percent on braces and retainers for both children and adults and up to 50 percent on other dental procedures. You don’t have to break the bank to have a fantastic smile and straight teeth. To learn more about how you can reduce the expense of an investment that will last a lifetime, click on this link to access a Confident® dental discount plan offered through Careington®.